In SSC CGL Exam , you will always find at least one question where you will be asked to find either the Maximum or Minimum value of trigonometric Identities. On the request of several students, we are providing the easiest way to solve those kind of questions. 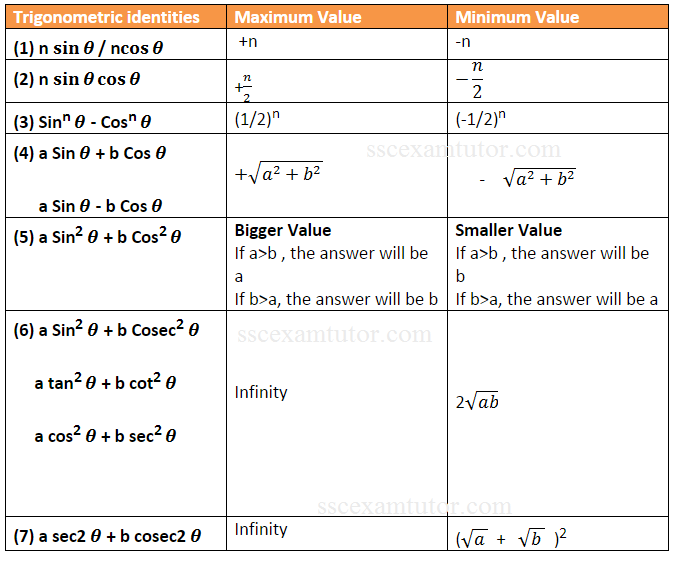 Examples are also given so that you can understand the method easily. 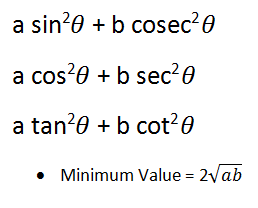 Sol- If you find the question of this kind, apply the above formulae.